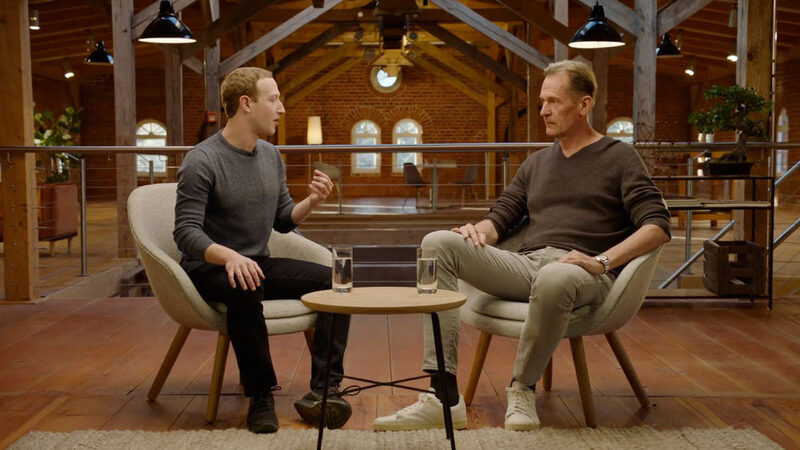 In a similar vein as his recent op-ed, Zuckerberg made the announcement during the course of his interview with Mathias Döpfner the CEO of Europe’s largest publisher, Axel Springer. The interview was posted to Zuckerberg’s personal Facebook feed and presents his thoughts on how to keep information from becoming divisive, as well as ensure its accuracy. “There's a lot of news content in there, because it's so important, but there's a lot of people who... want more news. One of the things that's really worked over the last year or two is we've launched [Facebook Watch] for video, where people [who] weren't getting all the video they wanted in News Feed could go to...a dedicated space to get video. Because that has started to really grow quickly, we've decided that there really is an opportunity to do something like that with news as well." This may come as a surprise considering Facebook just got rid of its “trending news” ticker, but perhaps it wasn’t the correct approach. While there are many areas for concern when it comes to the News tab, the most critical will be maintaining publisher’s authority in key areas like control over content, audience relationships, and revenue sharing. The CEO clearly is focused on revamping the image of Facebook after the data security breaches that marred the company’s reputation last year. Consider the examples of Facebook having fallouts with publishers in the past over things such as content, newsfeed algorithms, and revenue sharing agreements. Couple a rocky publisher relationship with Facebook’s announcement a couple of months ago that they would be not be renewing many of the funding of their news-based programs, it would seem an odd time to double down on new infrastructure. The manner in which Facebook decides to implement their News tab, should it become a reality, will surely change the way content is presented, organ ized, boosted, and served to users. That means the way in which you are able to educate, engage, and delight your audience will also change -- yes again. Paying attention to and understanding how Facebook plans to organize and present media to users will make your strategies more informed, well-articulated, measurable, and ultimately effective. Think of it like this: How can you expect to win the game if you don’t know where the field is? No earth-shattering action is needed at this moment. There is really only one thing to do. Think about how you as an organization are approaching news on Facebook and how you view the relationship between news and users. In what ways will you need to shift or change your strategy to take advantage of Facebook’s new emphasis on journalistic integrity? Check back in periodically as this story develops and we continue to provide more insight into what's happening and what it means for you.